That's right! Pumpkins, cats, and Hocus Pocus quotes! Good news for those managing their global operations with TradeGecko - you can now integrate your account with Easyship and seamlessly fulfill orders worldwide! Learn more about the integration here. Ready to connect? Head on over to our Support Center for step-by-step instructions! This ePAC solution is for small parcels that weigh up to 2kg. It covers all major destinations and offers free pickup! Learn more. Like using DHL eCommerce, but bummed that they don't have a pickup option? Good news - pickup is now available through SF Express! SF Express is now able to do the first-mile delivery to DHL eCommerce. This means they will handle the pickup of your parcel and deliver it to the DHL eCommerce distribution center. From there, DHL eCommerce will take over and handle the last-mile delivery of your parcel. In addition to pickup, dropping off your DHL eCommerce parcel at an SF Express location is also possible. Looking for same-day delivery in Singapore? 4 hour local delivery is now available thanks to Pickupp! Pricing starts from $5.85 – don't say bo jio! 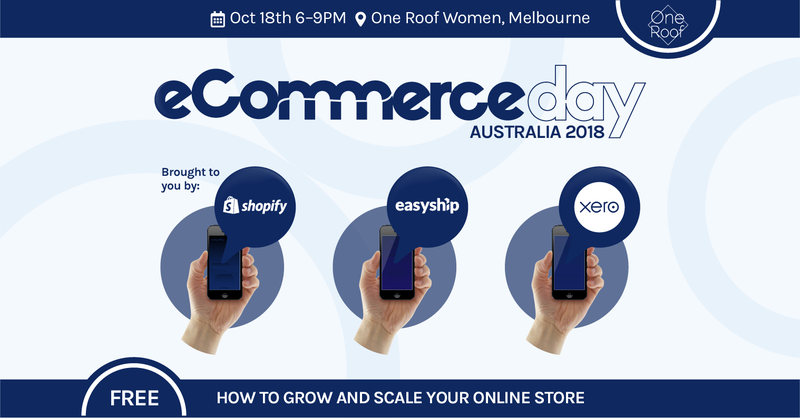 eCommerce Day is coming to Australia! After many successful editions in Hong Kong and Singapore, we’re excited to bring this unique event to Melbourne on 18 October 2018! We'll be partnering with Shopify and Xero to help you understand how sales, logistics, and accounting technologies can help your business scale and become an international success. Enjoy networking, drinks, and nibbles with key experts and like-minded people! Register for free today! If your crowdfunding campaign requires shipping a product to your backers, it's never too early to start planning for fulfillment! We've put together this extensive crowdfunding guide to help you plan your shipping strategy and ensure your product gets to your backers around the world safely and on time. How can you maintain friendly relations, answer questions, and be responsive within a decent timeframe when your eCommerce store is open 24/7? This is where eCommerce chatbots come in! Learn how to use bots to increase sales and improve your customer service. We regularly read a lot of eCommerce blogs and wanted to share the ones we believe are the most useful for up-and-coming sellers. Did your favorites make our list? Soon, you'll be able to customize your tracking emails and tracking pages with your brand's logo and social media handles! 'Til then, it'll be heads down, bums up until the beginning of November, when we'll come back atcha with another product update!